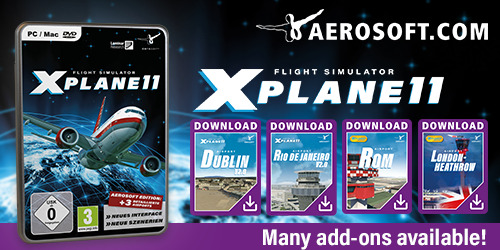 Aerosoft released on April 26th a new AIRAC Cycle 1805 for their NavDataPro. Another Navigraph AIRAC (Aeronautical Information Regulation And Control) period starting on April 26th, 2018. Let’s give some background information about the AIRAC Cycle. Back to our Navigraph Cycle 1805, effective from April 26th. By following this link you reach the download section of Navigraph. 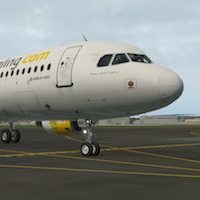 While your personal reporter Angelique van Campen had been very busy with reviewing the Flight Factor A320, Andy Clarke has been busy too with reviewing his part of the aircraft. Soon, very soon, we’re pleased to offer you a comprehensive review of the Flight Factor A320 Ultimate. It was a lot of work, a lot of things we needed to find out. This is partly because of the minimum amount of documentation. Although I have enough experience, a complex aircraft as this A320 is “then” even for me not easy to figure out all the features and how things are made or modeled. For some parts we needed to contact some real licensed pilots, but I can tell you that the end result is a well balanced review. But for now, I would say … enjoy these exclusive screenshots made on a typical flight from LFBO, heading for the Pyrenees. When you feel do to so, a comment and/or suggestion is always welcome. On behalf of Evgeny Romanov, lead developer of JAR Design Group, I would like to share with you some notes we received from him in respect to the A330 v3 review. This additional post/page belongs to a worthy page full with A330 v3 information, but it can’t be seen without reading Andy Clarkes in-depth review. The additional page with JASR Design information can be found via this link and Andy’s review is available via this link. You’ve waited long for this, we’ve all waited for this as well as your dedicated X-Plained reporter/reviewer Andy Clarke. Andy took a look into the JARDesign A330 version 3. 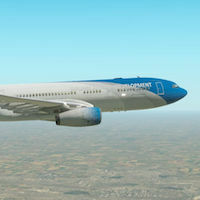 Not just “a” look, a thorough look to be honest on how this renewed X-Plane 11 aircraft works, flies and how the completely remade MCDU is functioning. But Andy has so much more to say. I would say on behalf of Andy …. check out his in-depth JARDesign A330 v3 review. Enjoy the ride! 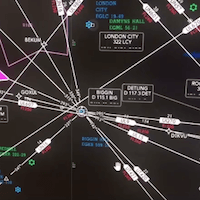 Aerosoft released on March 29th a new AIRAC Cycle 1804 for their NavDataPro.